Coming off the heels of strong crowds of nearly 600,000 aviation enthusiasts celebrating all aviation has to offer at Oshkosh's AirVenture, nearly 2.2 million people are expected to line the Chicago shoreline this weekend to enjoy the 51st Annual Chicago Air & Water Show. The Airshow returns to its traditional two-day schedule after celebrating its 50th anniversary last year with the addition of a Friday night show. That means Chicago Airshow Junkies can get a sneak peak with minimal crowds by setting out a blanket on the lakefront on Friday afternoon. Most performers who have been hallmarks of recent Air & Water Show will be on hand again for this year's show including the locally based Lima Lima Flight Team, Aeroshell Aerobatic Team and The Firebirds Delta Team. Of course no airshow is complete without an appearance from Sean D. Tucker and Team Oracle, always a crowd favorite. Herb Hunter will return as MC for the event, his 22nd year in that role. Each year he brings a great enthusiasm for and deep knowledge of aviation to this event. New this year is Chuck Aaron in the Red Bull Helicopter. Helicopters have traditionally played minor roles in airshows unable to perform the awe-inspiring acrobatics feats that their fixed wing counterparts can. That changed a few years ago when aviation enthusiast and Red Bull founder, Dietrich Mateschitz, convinced Aaron to find a way to perform aerobatics in a helicopter. Aaron now pilots the Bölkow Bo-105 in a way most airshow attendees have never seen. Max has performed more consecutive rolls in a helicopter, five, than anyone else. I expect him to quickly become a crowd favorite at this year's airshow. 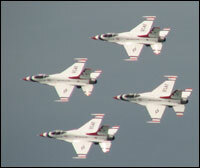 The United States Air Force Thunderbirds are this year's headliners and will be arriving in town, earlier then normal, on Monday. They will be taking Chicago Hometown Hero Brian Otto for a ride in the back seat of one of their F-16s. So you can expect to hear the roar of their jets over Chicago all week long. This year the water and air portions of the show have been combined. So all activities will begin at 10am this year and run through 4pm. A complete list of airshow performers can be found on the Chicago Air & Water Show website. 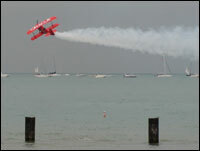 As in previous years I will bring coverage of the Airshow to you throughout the week. I will be attending the Airshow media day earlier in the week. If you have specific questions you would like answered let me know and I will seek out the answers for you. Despite the Sport Pilot License being around for nearly as long as I have been flying, I have to admit that I have paid little attention to it or the growth in Light Sport Aircraft (LSA) options. 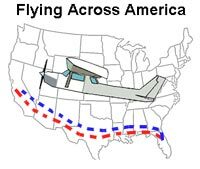 Sure it is a common topic in magazines and aviation websites but having earned my license through the traditional Private Pilot process I often flipped or clicked past those articles having little interest in learning about the Sport Pilot License. It was an article in Plane & Pilot written by Kirk Hawkins, Founder & CEO of Icon Aircraft, which opened my eyes to the value of both this new license and category of planes. I will point out that I understand his point of view is not unbiased, but he makes an excellent case for the role light sport aircraft in conjunction with the Sport Pilot license can play in helping to rebuild the pilot population. We all know that the pilot population in America continues to move backwards rather than forward. At the same time Pilots have needed to get more active through organizations or direct contact with their representatives to protect our interests in General Aviation. What we need now more than anything are more young and passionate pilots that get the bug for aviation and become staunch supporters of aviation for years to come. Having to fight the United States Government to stomp out user fees and tighter restriction on General Aviation the aviation manufacturer's and organizations and the general public have been focusing on the fact that General Aviation serves America and provides functional benefits to pilots and aviation communities. In that communication though we have lost the ability to excite some of those that are looking to fly for the fun and adventure of it, likely the spark that got most of us into flying. Hawkins writes "In our quest for more speed, range and payload and fancier glass cockpits--we seem to have forgotten what brought us to aviation in the first place--the freedom, the fun and the adventure of flying! How many of us can remember zooming around the house at age seven, holding a plastic airplane over our heads while making airplane noises? Well, I bet none of us were thinking, 'Boy, I could really save some time getting to grandma's house, and think of the TSA lines I'll be avoiding!'" Learning to fly five years ago in Cincinnati, OH the rates were very reasonable and I earned my license for just under $5,000. If I were to start today in Chicago where instructors charge more and access to lower cost airplanes is harder to come by I would need to budget closer to $10,000 to earn a Private Pilot certificate. If I had not learned to fly when I did the price today would likely have kept me on the wrong side of the airport fence. What the Sport Pilot License does is makes learning to fly more accessible. Cutting the hours needed to earn a license in half from forty hours down to just 20 hours. This new path to an aviation license can save a student as much as $3,000 - $5,000 greatly lowering the barrier to entry for learning to fly. Couple that with new Light Sport Aircraft that burn less fuel, rent at lower rates and can be purchased new for what many traditional aircraft cost many years after taking their first flight and this new movement makes flying financially more accessible, especially in the current economic conditions. Hawkins references a great quote from Orville Wright "The exhilaration of flying is too keen, the pleasure is too great, for it not to be a sport." I learned this weekend while having my first experience behind the stick of a Light Sport Aircraft how much fun flying one of these sporty little planes can be. Stay tuned for a review of a flight in the Remos GX, my first experience in a Light Sport Aircraft. Until then check out Bringing the Sport back to Flying by Kirk Hawkins. Also, please don't be like I was and scoff at the Sport Pilot License or the Light Sport Aircraft associated to them. They may just be what the industry needs to bring growth back to General Aviation. I spent much of my childhood and adult life looking up at the sky and dreaming of flying. 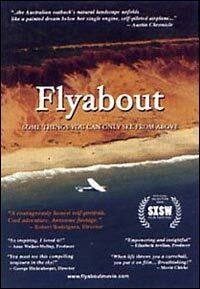 In April of 2004 I decided to stop dreaming and making learning to fly a reality. Ninety-five days after taking my first introductory flight and after logging 47.2 hours I earned my Private Pilots license on August 1, 2004. On Saturday, I celebrate five great years enjoying the benefits of my license including all the great places I have flown and experiences I have gained. To honor this milestone I am heading to Oshkosh, I can think of no more appropriate way to enjoy this achievement then a weekend of aviation fun at AirVenture. In addition to my own personal flying experiences through this blog and the wonderful people I have met I have enjoyed some amazing flying experiences. Below are links to some of my favorite flights, experiences and lessons from the past five years. Pilots and aviation enthusiasts from all over the world have once again begun to converge on Wittman Regional Airport in Oshkosh, Wisconsin for AirVenture, the annual celebration of aviation. This event helps to stoke the fire of enthusiasm for aviation dreamers. I vividly remember attending this event and dreaming of coming back some day as a pilot. This week, I will be making my third visit to AirVenture since realizing my dream. On Saturday I will celebrate the five year anniversary of earning my Pilot's License in the best way possible: surrounded by fellow pilots and aviation enthusiasts at Oshkosh. One of the biggest challenges for a visit to AirVenture is planning your days. I will have little more than two days at this event and will do my best to fit all I can during my time there. The AirVenture website offers a nice planning tool that allows you to search the vast list of activities and meetings and filter them by your own preferences. You can save and print your personalized itinerary. Sadly, they have not figured out a solution to clone speakers or attendees so I am going to have to miss some exciting events to participate in others. Here are just a few of the events, meetings or sights I plan to enjoy during my visit to AirVenture. Julie Summers Walker, Managing Editor of AOPA Flight Training, wrote a great article about 10 "Island Hoping" destinations in the United States. She writes "'Island hopping' may bring to mind Caribbean blue water, but in the United States, there are a number of island escapes, each with its own personality and hue, best visited in a small airplane. Your newly minted private pilot certificate can get you access to places few people get to see." Missing from the authors list was one of my favorite island airports, Washington Island, situated six miles of the northern tip of Wisconsin's Door County Peninsula. If you are planning on visiting Washington Island you will need to arrive by boat, bring your bike or car by ferry or fly into Washington Island Airport. Flying to Washington Island from anywhere south of the Island provides a scenic flight along the Door County Peninsula. The Peninsula is 75 miles long and 10 miles wide and narrows as you travel northeast and culminates with the quaint Washington Island. 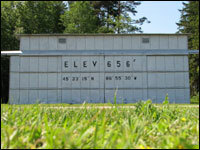 You will enjoy viewing corn mazes and beautiful bays and lighthouses along the route. On Washington Island there are several great places to catch a bite to eat. For the 56th year the Lion's Club of Washington Island hosted their Annual Fly-In Fish Boil this past weekend. 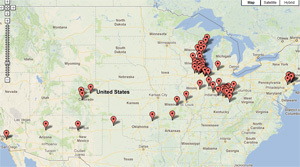 Typically the event draws planes from all over the Midwest and Canada. The island airport features two runways, one of which was recently closed to be expanded from a 1,300 feet to a more manageable 2,250 feet. When completed the airport will feature two turf runways each with a length of 2,250 feet which will surely make this airport more accessible on those windy days. Below are some of my photos from a visit to Washington Island Airport last year. If you are looking for a fun place to fly to this summer, I recommend you check out Washington Island. The folks at the always do an excellent job of bringing in the top aviation attractions to their annual airshow. One of the exciting additions to the 2009 roster will be the Airbus A380. I have enjoyed sneaking peaks of this amazing plane from my window seats on a few commercial aircraft. I am looking forward to having a chance to see this amazing aircraft close and personal later this summer. The A380 will arrive and conduct a flight performance on Tuesday, July 28th. After the performance they will park it on the tarmac for show visitors to view. It will take to the skies again on July 31st and perform another demonstration flight before making its show departure. Airbus Americas Chairman T. Allan McARtor commented "It makes perfect sense for the A380 to be featured at Oshkosh - not only because it is the largest passenger aircraft in history, but also because the remarkable A380 would not have been possible without the considerable support of our airline - and supplier-partners from around the world who worked with us over many years to make the aircraft a reality." Fellow Chicago Aviation Blogger, Rob Mark of Jetwhine, had the opportunity to fly the A380 earlier this month. 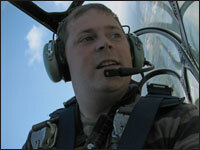 Visit JetWhine.com to read his write-up and to listen to a podcast interview with Rob about his experiences in the Cockpit of the A380. The excitement for AirVenture 2009 is definitely building with this recent news. One of the things I love about General Aviation is the great community of pilots. The pilot community is also very active on the Internet as represented by the long yet not exhaustive list of blogs on my blogroll. Two bloggers that I read often, Jason Schappert of m0a.com and Vincent Lambercy of PlasticPilot.net are organizing a cross-country flight in a Cessna 150. When I say cross-country I mean a real cross-country flight not your typical 50NM plus local cross-country. One year from today they will fuel up Jason's trusty Cessna 150, N512R, and depart from Daytona Beach, FL and fly a yet undetermined route to Catalina Island, CA and back. The two pilots are estimating the trip, with some leisurely stops, will take approximately 70 hours of flight time over a three-week period. They will surely be discussing this trip on their blogs listed above but also on the website dedicated to this journey - FlyingAcrossAmerica.com. Their reason for making this flight is to spread the word about the benefits of General Aviation. A message that needs to be spread now more than ever before. They are looking for financial and non-financial support for this flight and details can be found on the Support Us section of their website. They estimate the cost of this venture will be approximately $15,000. Any extra donations over the amount needed to cover their expenses will be donated to an aviation-oriented charity. I look forward to following their updates as the plane this trip then following them once the trip begins.